The treponema pallidum tests market is expected to register healthy growth during 2018-2028, thanks to a reduction in costs due to technological advancements. The historical change in the adoption of syphilis tests and its results are a testimony to the life-saving potential for medicine in today’s world. For example, nearly 46 million people were infected with syphilis in 2015. Among these over 6 million were new cases. In 2000, the number of deaths had fallen by half due to more access to medical resources. The players in the treponema pallidum tests continue to invest in innovation to make way for technological investments to diagnose and treat the potentially deadly illness effectively. According to 2018 study published in the journal of European Academy of Dermatology and Venereology, reverse screening algorithm helps predict more patients with syphilis than the conventional screening algorithm. As mentioned earlier, syphilis diseases is also called a ‘great imitator’ as it can resemble symptoms of many other illnesses. Hence, these findings can make way for the integration of more big data analysis in the prediction of syphilis patients. According to a recent report by CDC, syphilis is spreading in the US. According to the report, the heterosexual syphilis and drug use were intersecting epidemics. The agency also reported a tremendous increase in syphilis cases in the United States. The disease which had killed over 200,000 in the 90s, had been limited to a 2.1 cases per 100,000 in 2000s. However, new findings report that the number has gone up to 9.5 per 100,000 people. According to the Colorado Department of Public Health and Environment, the number of syphilis cases have reached an all-time-high in the state. Growing illicit sexual activity such as prostitution, promiscuity, homosexual activities, lack of awareness about condoms, and unsafe sexual practices have resulted in growing cases of syphilis in recent times. Cases of syphilis are rising in tandem with HIV infection in many countries around the world. Additionally, due to the private nature of sexual diseases, and taboos surrounding various sexual activities, the treponema pallidum tests market products are still unknown to many. On the other hand, recent recommendation by Center for Disease Control and Prevention (CDC) to all pregnant women to get tested is a positive boost to the global treponema pallidum tests market. Syphilis is primarily transmitted through sexual activities and women can also pass on the disease to the fetus during pregnancy. 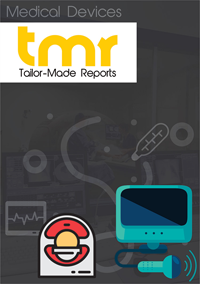 Global treponema pallidum tests market is expected to register significant growth as rising number of cases, solid recommendations by key authorities such as CDC, and difficult methods of alternative diagnosis are expected to drive the market. Syphilis detections require blood tests and require the use various different detection methods to provide reliable results. These various tests include nontreponemal tests, rapid plasma regain, and veneral disease research laboratory. Global treponema pallidum tests market report can be availed with the understanding of various regions including North America, Europe, Asia Pacific, Latin America, Middle East & Africa. The market in North America is expected to register the highest growth during 2018-2026. The region has dominated the growth of the global treponema pallidum tests market during recent times. Growing number of cases, widespread availability of advanced medical facilities, and favorable reimbursement policies are expected to drive significant growth for the market in the near future. Some of the key players in the Treponema Pallidum Tests Market are Abbott Laboratories, Becton Dickinson and Co, Bio-Rad Laboratories Inc., Siemens Healthcare GmbH, Trinity Biotech Plc, Miraca Holdings Inc. (Fujirebio Inc.), and Arlington Scientific, Inc.